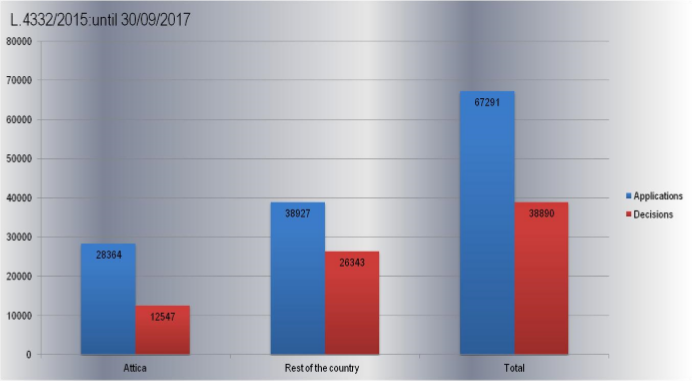 Generation 2.0 RED, based on data received from the Ministry of Interior, presents the figures for Greek citizenship as they were until the end of the second quarter of 2017, both at a Territory and Attica level. 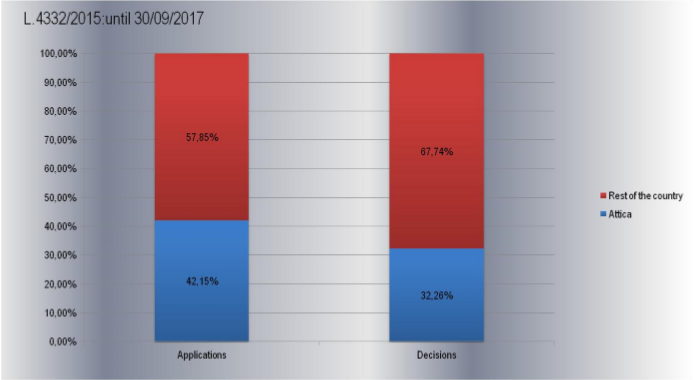 From the beginning of the implementation of the law until the end of the 3rd trimester of 2017 (30/9), the applications for Greek citizenship based on Law 4332 reached the number of 67.291. Of these, 28.364 (42.2%) concern services in Attica. 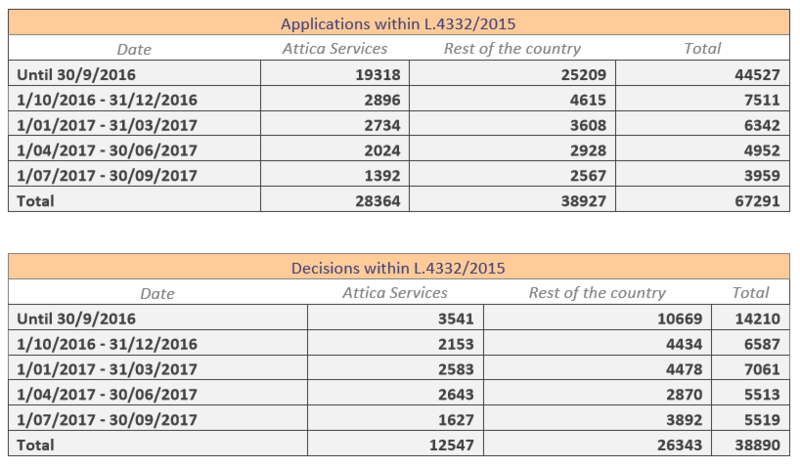 Since the beginning of the implementation of the law and until 30/09/2017, 38.890 decisions were issued for the acquisition of Greek citizenship, of which 12.547 (32.3%) were issued by Attica’s services. In the tables below you can see in detail how these figures arise from the numbers given to Generation 2.0 RED every quarter by the Ministry of Interior. * The number of decisions concerns only the positive ones and refusals have not been counted.